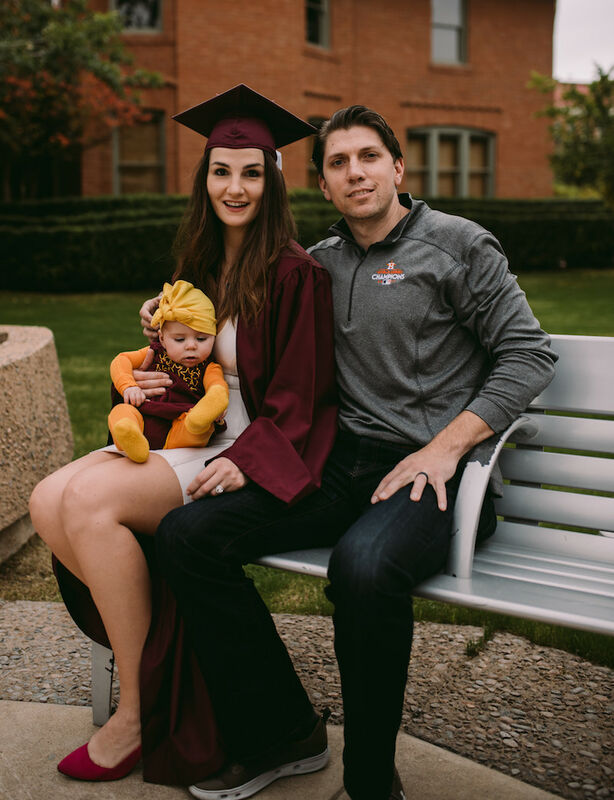 Eileen Naski graduated from Arizona State University with a bachelor’s degree in electrical engineering at the end of the 2018 fall semester — well over a decade after she had taken her first college courses. In 2005 Naski enrolled at Texas Tech University to study architecture, but after a year decided it wasn’t an endeavor that suited her and left school. Undecided on a long-range career goal, she relied on basic skills in communications and writing, architectural drafting, design and computer programs to find work over the next three years with a building contractor, an information technology corporation and residential architectural design company. Her experience in those jobs led her to be hired as an entry-level engineering technician in 2008 with DCP Midstream, a Fortune 500 company in Houston that provides petroleum services and is the largest natural gas liquids producer in the United States. Naski did well there, but she says it wasn’t long before it became clear her success would be hindered without a college degree. So, with the encouragement of her boss, a trusted mentor, Naski chose to go back to school about three years after dropping out of college. That decision began almost eight straight years of a “learning-on-the-fly lifestyle,” Naski says. 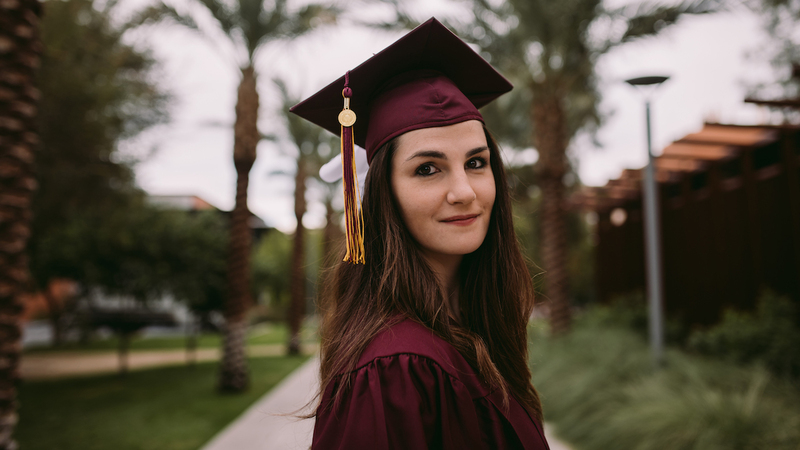 She enrolled in an online program at a local community college to complete prerequisite studies for a degree from a university engineering program. Still working full-time at DCP, it took Naski four years to get an Associate of Science degree in 2013. She didn’t want to leave her job to continue on the path to a bachelor’s degree, but attending universities in the Houston area would mean years of driving in congested big-city traffic on work days to get to and from classes. 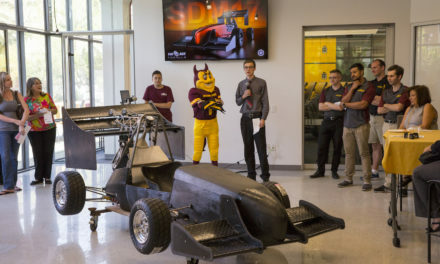 In an intense search for alternatives, Naski discovered the online delivery of ASU’s electrical engineering program in the Ira A. Fulton Schools of Engineering. The program looked challenging, but she thought it would be well worth the risk if she learned all it offered. From 2014 to 2018, while earning job promotions at DCP to roles in project coordination, supply operations and corporate business development, Naski took two or three courses each semester, including summer sessions. She found her initial assessment of the program accurate. It was often difficult, but rewarding in the end. 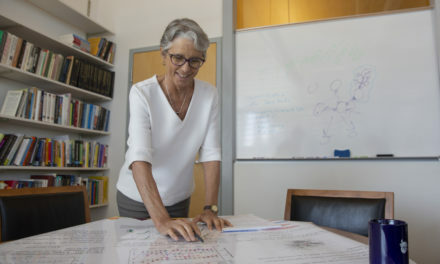 Naski recalls some friends and co-workers saying, “Oh, electrical engineering, that’s a tough one,” when she told them what she was studying. “So I’m feeling pretty proud of getting that degree,” she says. Naski is now one of approximately 100 graduates of what was the first Bachelor of Science program in electrical engineering offered fully online to be recognized by the Engineering Accreditation Commission of ABET as 100 percent online when it was launched in 2013. There will undoubtedly be many more graduates in the next few years. The program currently has about 1,300 students enrolled. “We were completely surprised by the unmet need out there. 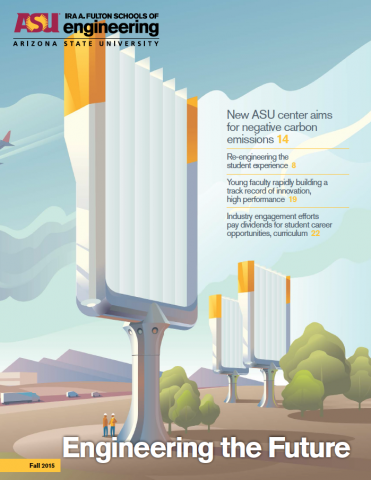 [The program] grew much bigger and faster than we anticipated,” says David Allee, associate director and professor in the School of Electrical, Computer and Energy Engineering, one of the six Fulton Schools. Many of the program’s students are older than typical undergraduates. “They have families. They have jobs. Some have careers and they want better jobs,” Allee says. While the online delivery of the program is especially attractive to working students, as many as 40 percent of the students are U.S. military veterans or on active military duty. “So they are highly disciplined and highly motivated and they are in places all over the world,” Allee says. In students’ feedback about the program, many of them say online delivery “has been a godsend for them and they express their gratitude profusely,” he adds. Stephen Phillips, director of the School of Electrical, Computer and Energy Engineering, points out that the content of the online delivery matches the on-campus delivery in both the classroom and laboratory experiences. During her time back in college, Naski began to more closely match Allee’s description of the predominant profile of the online students in the program who are working and often have families. Just before beginning studies at ASU, she married Jake Naski. And she jokes that her daughter Lorelai was with her through her last four classes. Naski was nine months pregnant on the day she took her final exam online. Naski went on to ace the exam and Lorelai was born two weeks later. Earning an electrical engineering degree paid off just a few months after completing the program. Naski joined her company’s technology transformation team, where she now works with software developers who are automating many of her company’s operations. Beyond that, she is setting her sights on becoming DCP’s pipeline hydraulics expert in the not-too-distant future. “My degree gives me an inroad to meet and talk to the right people” to move toward that goal, Naski says. Naski has been sharing her enthusiasm about her achievement, and in the process getting some friends and colleagues interested in the Fulton Schools online electrical engineering degree program — as well as other ASU degree programs delivered online. She is a member of the national Society of Women Engineers and says she has spread the word about the Fulton Schools at member meetings in the Houston area. Naski’s longtime friend Elicia Garcia will begin online studies in the Fulton Schools electrical engineering program this summer. Garcia says a big draw for her is being able to earn a degree while staying in her full-time job as an instrumentation technician with Dow Chemical. When she recently met with the company’s vice president, she was told upward movement would require a degree. 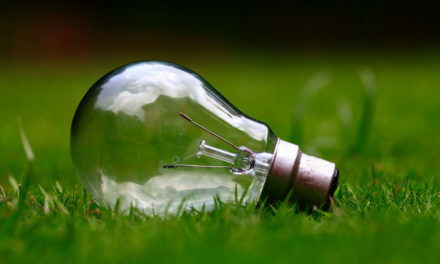 She now hopes to eventually apply the advanced engineering knowledge and skills she’ll gain from the Fulton Schools electrical engineering program to prepare her for moving into leadership roles in electrical engineering. Garcia says the company’s most important projects sometimes require periods of 10-hour workdays, and she has watched fellow employees miss weeks of classes as they try to balance school with the demands of their jobs. But Naski told Garcia that as an online student, she could be spared such experiences. “When Eileen told me ‘I listen to my course lectures while I drive to and from work. It’s like going to class twice, and I can do it while stuck in Houston traffic,’ that was one of the biggest selling points for me,” Garcia says.